Get a Free Power Bank in Sumec Nigeria October PROMO!!! 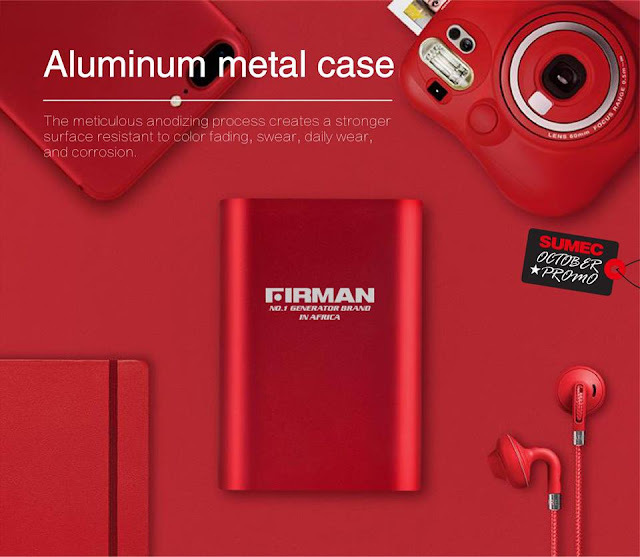 Tagged "Forward & Win"
October Promo is Here!!! 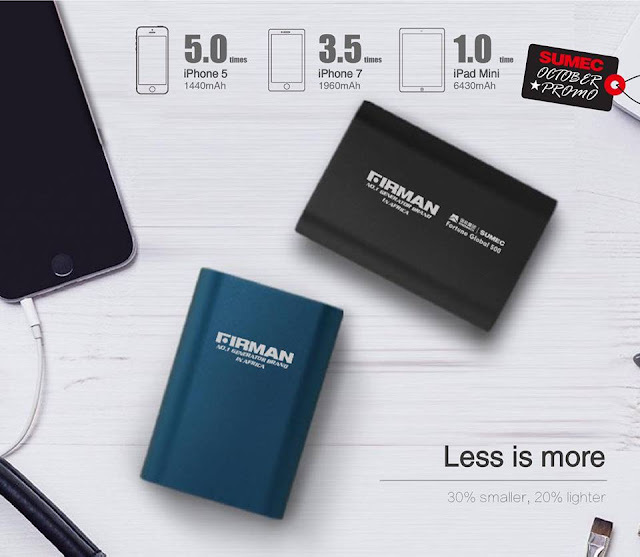 Get Free Power Bank! 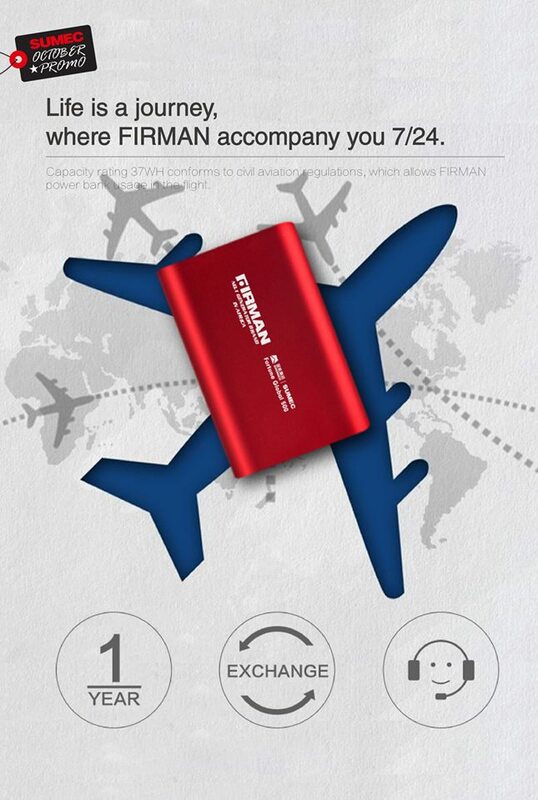 New round of sharing and winning bonus! 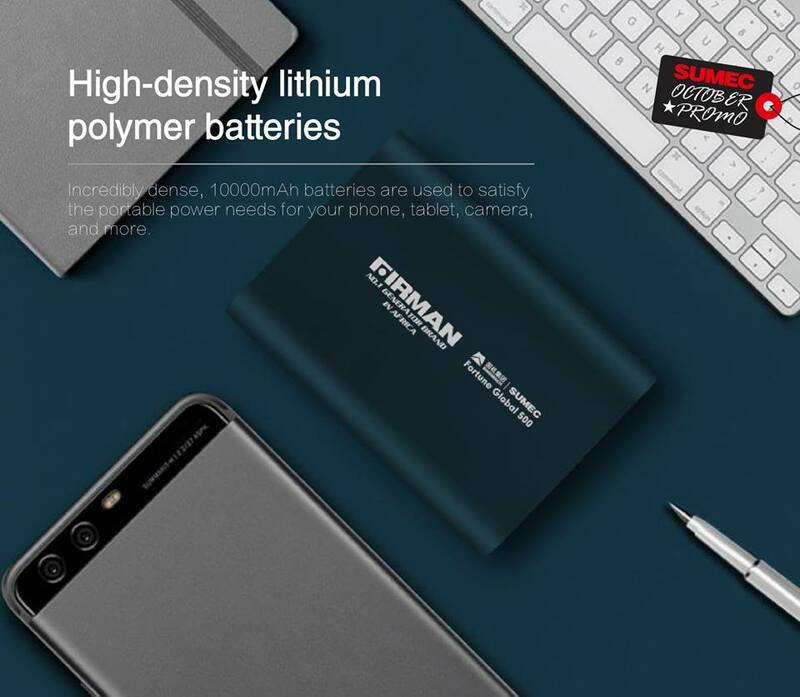 From now on pls like and follow SUMEC Nigeria page, and share this information in your timeline, you have high possibility to get free 10000 mAH power banks! 2. Forward This Thread into your timeline and Invite your family, friends and other facebook followers to Like Your Thread. 3. After the Promo period (1st Oct - 1st Nov) comment on this thread, how many Likes you got and the top 20 people with the highest verified Likes wins a Free FIRMAN 10000m AH PowerBank. 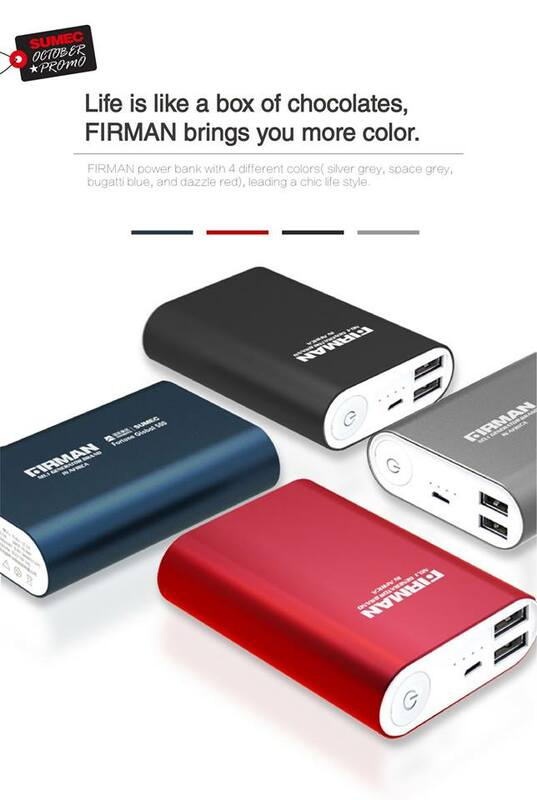 20pcs of 10000mAH power banks are waiting for you! 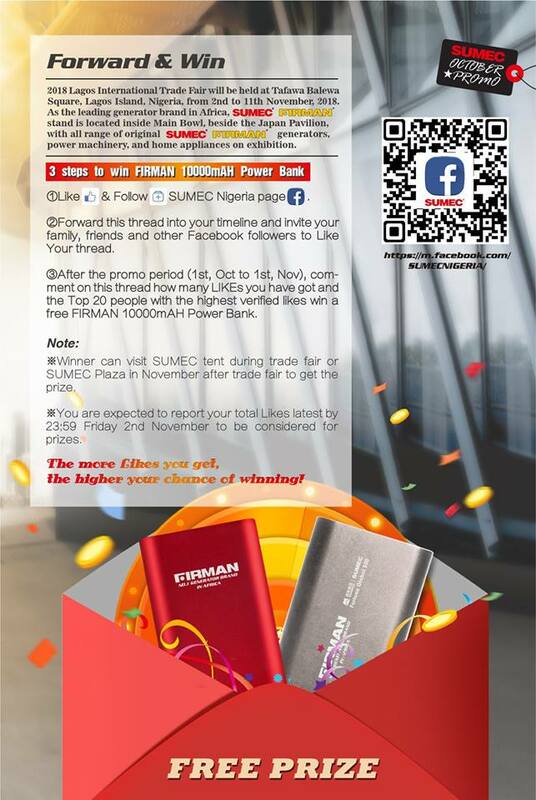 *The Winners can visit SUMEC Tent during Trade Fair or SUMEC PLAZA in November after Trade Fair to get the Prize. *You are expected to report your total likes latest by Friday 2nd November at 23:59 to be considered for Prizes. *The more Likes you get the higher your chances of winning. Promos runs from 1st October Till 1st November, 2018.